Today I had the great pleasure of presenting Publius Sempronius Tuditanus at The Oaks Academy in Indianpolis. This was the first persona that I developed six or seven years ago. He is one of the guards at the tomb of Christ, and through him audiences get a glimpse not only into the history of the ancient Roman army, but into an event about which Richard John Neuhaus once commented, "If what Christians say about Good Friday is true, then it is, quite simply, the truth about everything." A tip of the galea to the 6th, 7th, and 8th graders at The Oaks! They asked so many wonderful questions that one of the teachers had to draw our time to a close. They really made me think on my feet, which is something I love! You can find more pictures by following Steve Perkins (Roman Personas) on Facebook. Fans of Roman Personas will note the differences in my appearance from my personas of centurion Gaius Crastinus. Tuditanus carries his sword on the right, as opposed to the centurion's left, and wears a simpler Coolus style helmet. In addition, he does not wear the phalerae or greaves that centurion Crastinus wears. On Thursday, October 11, I had the opportunity to be with the Latin II students at The Master's Study in Indianapolis. Rather than presenting a persona, I arrived in tunica, braccae, and caligae and described each piece of armor, putting it on as I did so. 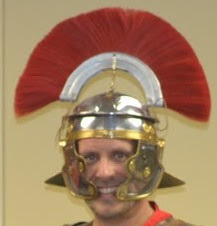 After becoming fully dressed as a centurion, I removed the armor so the students could try it on. They were amazed at how much the lorica hamata weighs! The students then had the opportunity to try out the foam reproduction swords. This is always great fun! When we returned to their classroom, they asked many good questions about battle formations and other aspects of Roman culture. Special thanks to Latin teacher Melissa Perkins and Head of School Cindy Brumbarger for their warm hospitality! After making the decision to return to secondary education, I got to live the dream of teaching high school Latin. Many people have asked why I did not continue with Ph.D. work in Classics or whether I would have preferred to teach at the collegiate level. While I certainly enjoyed my time teaching at that level, I was made for high school. Teenagers have boundless enthusiasm and are just plain fun to be around. 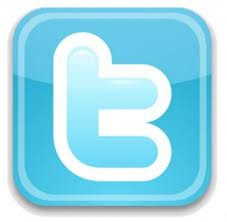 Teaching at the high school level also allows you to explore multiple levels of the language. I was hired to teach Latin I through Latin IV and etymology at L.B.J. High School in Austin, Texas. As a Johnson Jaguar, I had big shoes to fill, as legendary Latin teachers had gone before me at this school. I was blessed to work with a great faculty and fantastic students. 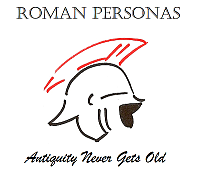 One of our students designed a logo for us of a jaguar head next to a Roman helmet with the motto Nil satis nisi optimum around it. This motto one of our students discovered while on a band trip to England, and we quickly adopted it. We then painted that logo on one of our walls, the wall that held the ever growing rows of ribbons to mark our achievements at the Texas State Junior Classical League state convention each year. Our students competed in academic tests, art, spoken-word contests, costume contests, and more and always brought back to L.B.J. the glory. We put their names and awards on the chalkboard, and that usually took up more than half of my teaching space! Apparently, we were into wall painting, for we painted the entirety of the back wall of the room to look like ancient Rome. We put three columns across it to give the impression that our room was a Roman house that overlooked the ancient city. It was a long process, but all of the students were involved and gave our room a unique feel. My wife, who had started the Latin program at Pearce Middle School in Austin worked with me to host an annual event called the Fall Classics Festival. Latin students from Austin came together on a Saturday for certamen, Olympics, and workshops. In the spring of 1998, we hosted the Area-F Latin convention. Texas is so big that prior to the state convention, regional conventions are held. Our students did an amazing job hosting that event. It was also at L.B.J. that I published my first article. In the winter 1998 of Texas Classics in Action, the journal of the Texas Classical Association, there appeared my piece, "Clodius vs. Cicero: The Trial of the Century That Never Took Place." It detailed our Latin III project in which students dressed in Roman garb went to a courtroom at the Travis County Courthouse and enacted the trial of Cicero that should have taken place in 58 B.C., but did not because Cicero fled the country. As I will discuss in the next post, academic publication has played a huge role in my life, and I remember Ginny Lindzey with gratitude for asking me to write what would be my first professional article. In the spring of 1998, I was honored as the Texas Foreign Language Association Latin Teacher of the Year and shared the honor of L.B.J. Teacher of the Year with Don Haynes, who is still the band director there. It was also at that time that my wife and I made the decision to return to our home state of Indiana. I well remember driving around downtown Austin as tears streamed down my face. We had made wonderful friends and loved the weather, the food, and the incredible spirit of Texas. My extraordinary students took us out for a farewell dinner at The Salt Lick, a legendary BBQ restaurant near Austin. A sign over the door asked patrons to limit their dining time to 2 1/2 hours, and our waitress kept bringing plate after plate of brisket, sausage, and ribs to our table...my kind of place! The next stage in the Latin journey would take us to Indiana, but I shall never forget our spectacular days in Texas. The other day our Latin III class was reading Catullus 45, and one of the students commented on the heavy alliteration in Acme's words to Septimius. Suddenly, Marilyn Monroe's breathy, seductive "Happy Birthday, Mr. President," sung to President John F. Kennedy. I quickly found a clip of this on YouTube and showed it to the class to illustrate how I took this passage. On a whim, I posted this to the Latinteach email list. The next day, I received an email from Jessica Lahey, a teacher and author from New Hampshire. A bit of back-and-forth between us via email led to her publishing a delightful piece on one of her blogs. There will always be connections between the Classical world and modern pop culture for the simple reason that the literature and arts of the ancient Greeks and Romans gave expression to the deepest, universal aspects of human life. It is for this reason that the study of Latin and Greek falls under the humanities. It is why the study of and engagement with these languages and their cultures is an essential part of living a rich life, one that can look with eager anticipation to the future because of its firm foundation in the past. There is nothing like teaching Caesar's De Bello Gallico to Latin II with authentic Roman weaponry! Now that I have the two mannequins decked out in Roman armor standing in opposite corners of the classroom, this year's teaching of Caesar went to a whole new level. Students got to handle everything yesterday as we explored the structure of the army anyhow a soldier was equipped. Today we did a little re-enactment in the middle of the room. The first passage we read today was about the early part of the battle of Bibracte. I asked for a couple of student volunteers to stand one in front of the other, each holding one of our shields in imitation of the Helvetians. I brought one of the spears toward them and demonstrated how it could have transfixed the shields and pinned them together. The students quickly saw the disadvantage and realized the only choice the Helvetians had was to drop their shields. Then we read this from I.26. I have always illustrated this by having the students pile up their desks in the middle of the room in imitation of the Helvetians wagons. In the past, we enacted what went on using a yardstick and a golf club I keep in the room (don't ask!). This year we recreated the last stand of the Helvetians using our two real spears. I'm not sure who had more fun, but I am sure that we all got a better sense of Caesar's writings through roleplaying and the use of authentic weaponry. *For translations of these passages, see here. On January 20, 2012, primus pilus Gaius Crastinus spoke three times to the 6th, 7th, and 8th graders at Northview Middle School in Indianapolis, Indiana. He was fortunate to have with him his nephew Trevorius (Latin III senior from North Central High School, Trevor Lanahan). With Trevorius, he presented the ins and outs of the fiercest legion ever to fight for the eagles of Rome, Legion X. As you can see, the students had a great time, especially when they got to check out the armor and learn to battle on stage! Over the weekend my family helped me set up Centurio primus pilus Legionis X Gaius Crastinus (First-Rank Centurion of Legion X Gaius Crastinus) and miles Publius Sempronius Tuditanus Legionis VI Ferratae (soldier Publius Sempronius Tuditanus of Legion VI Ferrata). These are just pictures I snapped with my phone. I should have better ones uploaded early next week. They make a fine addition to our classroom. I don't think we will have too much trouble with classroom discipline now...not that we ever did with the best students at North Central! It only seems right that I post this next installment on a day when I have been doing Classics research at Indiana University. Whenever I have a Classics research need, I head to the Main Library at IU. If I have a Classics-related question, chances are good my first email is to a friend on the fifth floor of Ballantine Hall, the home of Indiana University Classical Studies. As I have often told my parents over the years, their putting me through college has produced dividends that far outlasted their four-year investment. My wonderful experience of IU Classics, however, almost never happened. I enrolled as a freshman at IU with several scholarships under my belt, including ones from the Indiana Junior Classical League and the National Latin Exam. A placement exam I took during freshman orientation, however, said that I earned no credit in Latin. I explained to the advisor that I had several Latin scholarships and was planning to be a Latin teacher. He double-checked the scores, and there had been a computer glitch that cut all the scores in half. I actually had earned enough credit to start my first year of college Latin in a 300-level Cicero course. That first course was with Prof. Betty Rose Nagle. I was fortunate to continue my study with Prof. Ted Ramage for Livy, Prof. James Halporn for Latin prose composition, Prof. Eleanor Leach for Horace and Catullus, Prof. Louis Perraud (now at the University of Idaho) for Plautus and Terence and again for Ovid/Propertius/Tibullus/Catullus, Prof. Mark Damen (now at Utah State University) for Vergil's Eclogues and Georgics, Prof. Tim Long for Greek, and Prof. Betty Rose Nagle for Ovid. It is interesting that the first and last Latin classes I took at IU were both taught by Prof. Nagle. Not only did my appreciation and passion for Classical Studies grow by leaps and bounds with such instructors, but I gained long-lasting professional relationships. I have remained in contact with Professors Long, Nagle, and Leach over the years, and both Long and Leach attended the wedding when I married the girl I had met in Prof. Halporn's class. My friendship with Tim Long is truly one of the treasured parts of my life. As I have acknowledged elsewhere, he has been a teacher, mentor, colleague, and friend, and I was very happy when we established a scholarship in his name at North Central High School. After graduation with a B.A. with honors in Classical Studies, I immediately went into teaching and soon after pursued graduate work, all of which will be the subjects of upcoming posts. To this day, however, I can say that IU Classical Studies prepared me well to live my dream, and it is to its resources and to its faculty in Ballantine Hall that I still return as I continue to learn and grow in the greatest discipline within the liberal arts.